In part one, I mentioned some facts about Adolf Hitler before he became dictator. In this article, i’m writing down some more facts about him during his life as Fuhrer. 1. In 1932, Adolf Hitler was given German citizenship. 2. In January 30, 1933, Hitler was elected Chancellor of Germany. 3. When Paul Von Hindenburg died in August 2, 1934, Hitler took complete control of germany and announced himself as Fuhrer and Reichskanzler. 5. In 1939, Hitler was nominated for the Nobel Peace Prize. 7. Hitler kept a portrait of Henry Ford saying Ford was in inspiration and often mentioned him in his speeches. 8. He was fascinated with the American Old West. 9. Despite never learning how to drive, he pushed for the development of the Volkswagen. 10. Hitler wanted to go to the top of the Eiffel Tower but the French Resistance destroyed the elevator cables and Hitler did not want to climb the 1,500 steps. 12. Hitler’s normal speaking voice was very deep. 13. He often consumed over two pounds of chocolate a day. 14. Hitler wanted to have a “Museum Of An Extinct Race” built and turn Moscow into a lake. 15. Adolf Hitler never visited a concentration camp. 16. Gandhi once wrote a letter to a “dear friend” pleading him not go to war. That friend was Adolf Hitler. 17. Hitler suffered from a number of ailments and disorders and took at least 80 different kinds of drugs. Including pervitin, which is basically crystal meth. 18. Hitler lived through 42 assassination attempts. 20. During the D-Day landings, Hitler was asleep and he generals wanted to request for reinforcements but no one dared to wake him up. 21. 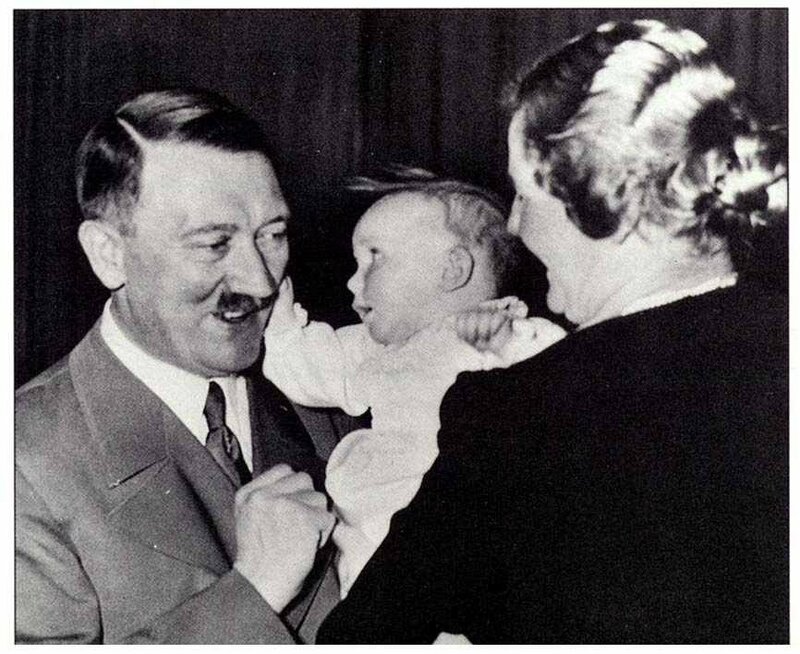 Hitler believed he was attractive to women and never married until he married Eva Braun in April 29, 1945. They both committed suicide the next day.